Donna Coupland is a BACP senior accredited counsellor and psychotherapist. She is also a registered accredited member of The British Psychoanalytic Council. She has an MSc in Psychodynamic Counselling and Psychotherapy from Birkbeck College, University of London. Donna also has three academic degrees, from De Montfort University (BA First Class Honours, 1999) University of Oxford (MSt, 2000) and the University of Leicester (PhD, 2005). Donna works in private practice and is also an Associate Tutor and Supervisor on the MA in Psychodynamic Counselling and Psychotherapy at the University of Leicester. She is a counsellor for a number of Employment Assistance Programmes and is a registered therapist with the private insurance providers Bupa, AXA PHP and Aviva. Donna has worked in the NHS as a Senior Psychotherapist and was Clinical Manager at Rushden Mind for many years. She has a wealth of experience in working with mental health and psychological issues, having worked full-time in the field since 2009. 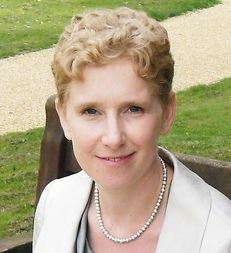 She has served as a therapist in a number of agency settings, including Luton Sixth Form College, Milton Keynes Mind, Northampton Counselling Service and the NHS Psychotherapy Service in Northampton. Donna is an accredited registered member of The British Psychoanalytic Council (BPC) and abides by their code of ethics. The BPC exists to promote excellence in psychoanalytic thinking, safeguard the public, promote training and research and make psychoanalysis accessible to all in society. The BPC also acts as a voluntary regulator of the profession, publishing an annual register of therapists who meet fitness to practise standards. The BPC register is accredited by the Professional Standards Authority for Health and Social Care, an independent body accountable to government. Donna is a senior accredited and registered member of the British Association for Counselling and Psychotherapy (BACP) and abides by their ethical framework. BACP Senior Accreditation provides recognition of Donna's experience, accomplishment and development within her specialist area. As a Senior Accredited therapist Donna has demonstrated higher standards as a competent, ethical and independent practitioner. She is also listed on the BACP Register for Counsellors and Psychotherapists, a public record of therapists who have met standards for registration. The register is accredited by the Professional Standards Authority for Health and Social Care. The purpose of the Register is to protect the public and assure clients that those listed adhere to high standards of proficiency and good practice. ​As part of her intensive counselling and psychotherapy training, Donna underwent personal therapy for seven years, and therefore knows what it is like to be a client, and explore herself deeply with another person. She is committed to ongoing personal and professional development, reads widely, and attends supervision, conferences and seminars to ensure she is up to date with developments in the field. Donna is a member of the Birkbeck Counselling Association. 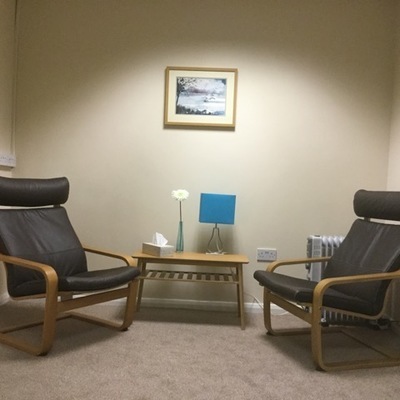 Donna's consulting room is situated at Knights Farm, Rushden, just off the A6 bypass, and easily accessible from Higham Ferrers, Wellingborough, Kettering, Northampton and Bedford. There is free parking and disabled access. A map and further details of how to find her office will be sent to all clients. 2018 Talk Therapy. All Rights Reserved.